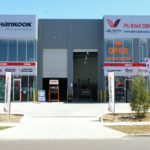 Tyre, Wheel & Mechanical service center offering cheap car tyres, 4×4 tyres & truck tyres located directly opposite Bunnings Warehouse, Caroline Springs. Our business occupies a ~900sqm site and is fitted out with the latest and most sophisticated tyre fitting equipment made by Corghi (Italy). 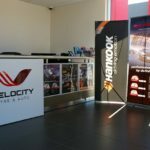 Velocity Tyre & Auto specializes in tyres, wheels, batteries, brakes, logbook servicing, balance and alignment. 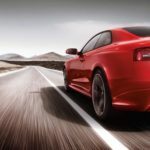 At Velocity Tyre & Auto, we stock all the major brands including Michelin, Bridgestone, Pirelli, Goodyear, Hankook, Cooper Tires, BFGoodrich, Maxxis, Lassa and many more. With in access of 2,500 tyres on site there is always a number of options for our customers to choose from. We carry a comprehensive range of wheels in major brands as Advanti, PDW, ROH, Osaka and many more. Although located in Caroline Springs, we offer pickup service in any of the surrounding suburbs including Derrimut, Deer Park, Kings Park, St.albans, Caroline Springs, Burnside, Hillside & Ravenhall. Call us on 8348 5088 and experience the service you should from your local tyre store. With a team comprising 35 years retail and mechanical experience you can be assured that all your tyre, wheel and servicing needs will be addressed by experienced staff that are qualified in their field.